The Wimberley Gimbal Head is a tripod head in and of itself. It attaches to the top of your tripod and provides both pan and tilt functionality. The Wimberley Head allows you to mount your lens in the conventional way, with the lens foot below the lens and the weight of the lens resting on its foot. The Sidekick differs from the Wimberley Head in two important ways. First, it is not a full tripod head; rather, it attaches to and works in conjunction with a ball head. The Sidekick provides the tilt function and the ball head provides the pan function. Secondly, the Sidekick grabs the lens from the side and thus the lens foot is located to the side of the lens instead of underneath the lens. In many cases, the Sidekick and the Wimberley Head both offer balanced ease of use and quite comparable functionality; however, each has its strengths and weaknesses. It is important to fully understand these issues in order to decide which is best for your application. Wimberley Head is a more straight-forward piece of equipment and tends to inspire more confidence when using very large lenses; however, it is not as versatile for non-telephoto photography or easy to pack as the Sidekick. The Wimberley Head is more straight-forward to setup and use because it does not involve the use of a ball head. Thus there are fewer knobs to be concerned about and there is no worry that the ball and socket joint of the ball head will slip or creep under the weight of the lens. When using the Sidekick on a ball head you must be sure not to accidentally loosen the ball or loosen the quick release holding the Sidekick to the ball head. This is usually not a problem once you're familiar with the Sidekick, but if you are using very large lenses this should be a consideration. The Wimberley Head allows you to mount your lens with its foot below the lens barrel (as you would conventionally mount it). This ensures that the center of gravity of the lens is always centered above the pan mechanism and, some would argue, makes it easier to attach the lens to the head and balance the lens. When you are attaching your lens by the side (as with the Sidekick) you must support the weight of the lens with one hand while you attach the lens or re-balance the lens. This can be a bit difficult and anxiety provoking if you have a very heavy lens. If you have difficulty hoisting the weight of your lens with one hand or if you are not confident with things mechanical, you will most likely prefer the Wimberley Head to the Sidekick. Because the Wimberley Head supports the lens using the platform, it is necessary to adjust the lens fore and aft, then adjust the height of the platform to align the center of gravity of the lens with the tilt axis of the gimbal. Each lens requires a different adjustment. 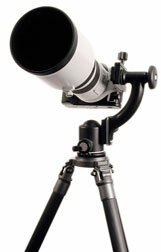 The side mount design of the Sidekick, uses only fore and aft adjustment to balance the lens. The Sidekick works in conjunction with a ball head to form a gimbal-type tripod head. In order to use the Sidekick you must have a ball head that meets certain requirements. Furthermore, some of the largest lenses require special adapters to work with the Sidekick. Click here for a full explanation of the perquisites and compatibility issues concerning the Sidekick. The Sidekick is an alternative to the Wimberley Head. It is much smaller and lighter than the Wimberley Head and is much more versatile because it allows you to keep your ball head mounted to your tripod for landscape or portrait0 work. The Sidekick can be easily removed from a ball head for normal ball head use with this type of set up. The Sidekick is ideal for people who switch from telephoto to short focal lengths often, and, for many it is more suitable for air travel with the stringent weight limitations that exist. Ideally, the Sidekick and the Wimberley Head offers a similarly balanced ease of use. The tilt mechanism is identical in the two. The Wimberley Gimbal has a very low friction pan base. The Sidekick uses the pan base of a ball head so, if the ball head pans very smoothly, the Sidekick/ball head combination should work very similarly to the Wimberley Head. If your ball head does not have a very smooth pan base or if it is smooth but has a lot of drag, you may prefer the feel of the Wimberley Head. 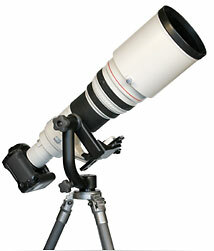 In general, we recommend the Sidekick for lenses the size of a 500mm f/4 or smaller. However, coupled with a good ball head, the Sidekick will work beautifully with the largest lenses. Many of our customers use 600 f/4 and 400/2.8 lenses on the Sidekick with excellent results. Note: Because the Sidekick mounts to a ball head, it is critical that the ball head is capable of supporting the weight of your lens in a side-mount configuration. Not all ball heads are suited for this type of set up. Click here for a detailed information about popular ball heads. Many people feel that it is more difficult to mount and adjust large lenses on the Sidekick because of the Sidekick’s side-mount attachment (this topic is covered in detail in the “Wimberley Head” section above). Some people never become comfortable mounting their big lens in this sideways fashion; others have no problem with it. Although it may seem counterintuitive, side-mounting your lens does not put any extra stress on your lens or ball head, provided that your lens meets the Sidekick compatibility requirements. The fact that the Sidekick uses a side-mount attachment prevents you from using traditional 180 degree flash brackets for your big lenses because the flash unit will end up on the side of the lens instead of above it. Fortunately, we make a line of modular flash brackets that includes a specific flash combination for the Sidekick (The F-6 Sidekick Bracket). There is no loss of stiffness or stability with the Sidekick as compared to the Wimberley Head. The Sidekick coupled with a good ball head is actually stiffer than the Wimberley Head, although this makes no practical difference since both heads are generally much stiffer than the tripods that support them. Click on the link to watch Clay Wimberley talk about the differences between the Wimberley Gimbal Head and the Sidekick.